Travel Wyoming 2016 Ultimate Wyoming Getaway Sweepstakes – Win a $1,500 travel voucher & more! Win a $1,500 travel voucher, a two-night stay at Jackson Lake Lodge in Wyoming & more! 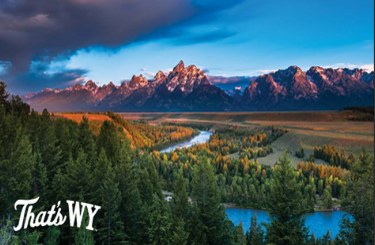 ENTER SWEEPSTAKES HERE – Travel Wyoming Sweepstakes page. ENTRY LIMIT – Limit one entry per household. ELIGIBILITY – To enter, you must be: (1) Eighteen (18) years of age or older; (2) Legal resident of the United States; (3) Can’t be an employee, officer, director or agent of the Wyoming Office of Tourism (Sponsor), or any of their respective affiliates, subsidiaries or advertising/promotion agencies (collectively Sponsor and Its Affiliates and Related Individuals); and (4) Can’t be an immediate family member or living in the same household of any individual identified in (3) above. SWEEPSTAKES ENTRY PERIOD – The Sweepstakes will begin at 12:00 AM Eastern Standard Time on April 10, 2016 and ends at 11:59:59 PM Eastern Standard Time on August 30, 2016. PRIZES – The “Wyoming Spring Sweepstakes” Prize includes: $1,500 travel voucher to be used towards airline and car rental, two-night stay for two in the classic cottage room at Jackson Lake Lodge in Grand Teton National Park, Wild & Scenic Lunch Float Trip on the Snake River for two, Dig for a Day voucher at Wyoming Dinosaur Center, and two days of breakfast and one night of dinner at the Mural Room. Valid September–October 8, 2016 and May 2017–August 31, 2017 (Based on availability – Peak season is July & August. Property closes on Oct. 9 for the season).